By now you’ve probably heard of Tough Mudder. It’s not just a race, but a mental and physical challenge designed by British special forces to take you through mud, fire, ice-water, and 10,000 volts of electricity. And maybe you’re thinking of testing your own level of toughness? It just may be one of the hardest challenges you’ve ever undertaken, so we’re here to help. 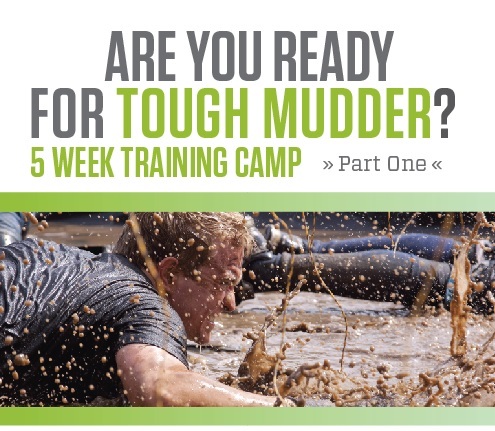 Join us for Part One of our Tough Mudder training program beginning March 3rd. This program is designed with the end goal in mind: to get your body and mind geared up for what’s to come by using simulated training. *Members MUST be logged in to view classes options and sign up. Secure your spot early by clicking the links above or by contacting the front desk (schedule@kalevfitness.com). Space is limited and expected to fill up quickly. Bring 2 friends who sign up and get your next event free! Whether your goal is to complete the Tough Mudder this year or just get in the best shape of your life, this is the training program for you. Our team of specialized trainers have put together a unique program that incorporates plyometrics, strength training, cardiovascular training with team-building and Tough Mudder-style exercises that are challenging and fun. You’re guaranteed to be stronger, faster and tougher by the end of this 5 weeks. This program is open to people of all fitness levels; it’s for those of you who want to work hard, try something different and have fun. Have Questions? Just ask.